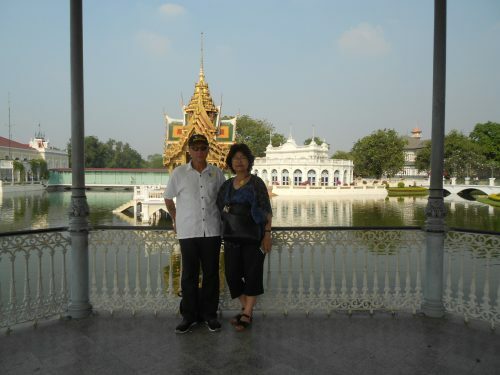 In January 2018 hubby and I took another trip to Bangkok to explore more areas of this beautiful part of Thailand. 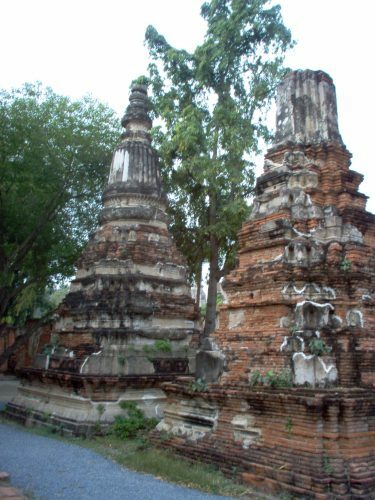 Bangkok dates back to the early 15th century and was then under the rule of Ayutthaya. 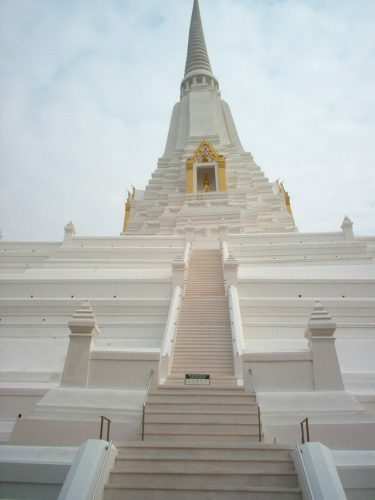 Now centuries later, Bangkok has undergone tremendous change and is now a modern city with many sky-scrapers. Exploring the city and surrounding towns has become easier, as we have become accustomed to the public transport and travel agents. 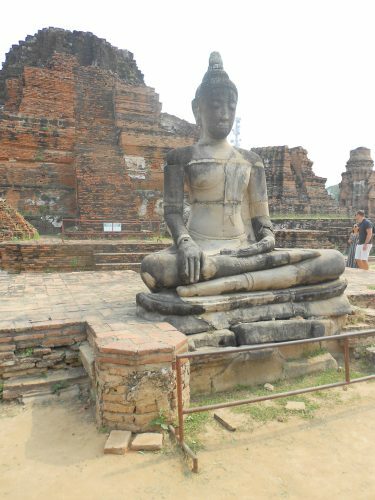 We took a day trip to the historic city of Ayutthaya, which was founded in 1350. This city was destroyed by the Burmese in the 18th century. which gives an idea of its past splendor. 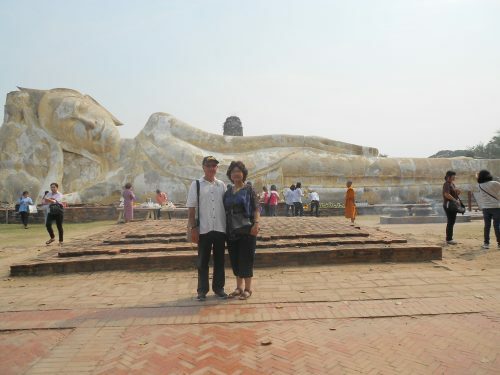 The largest reclining Buddha in Ayutthaya. 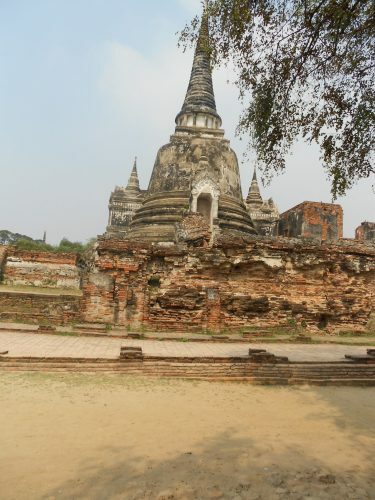 After visiting these historic sites, we were taken to a local restaurant where we had a delicious Thai lunch. Our next stop after lunch was Bang Pa-In, to visit the royal palace, called Bang Pa - In Palace, also known as the Summer Palace. The palace was built in 1632. 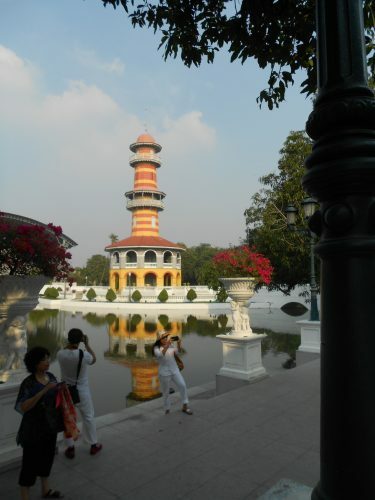 The restored site as it is today, is largely the work of King Rama V, who expanded the area in 1872 - 1889, into a ''Versaile'' style garden, filled with European style buildings. The palace was undergoing renovations at the time of our visit and we were not allowed inside. We were allowed to view the kings wives homes on the grounds, but we were not allowed to take photos. 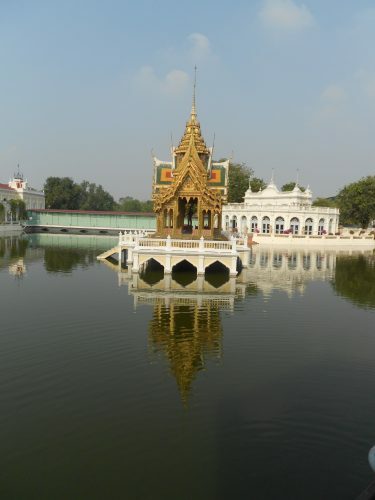 The palace and the gardens are extremely well looked after. 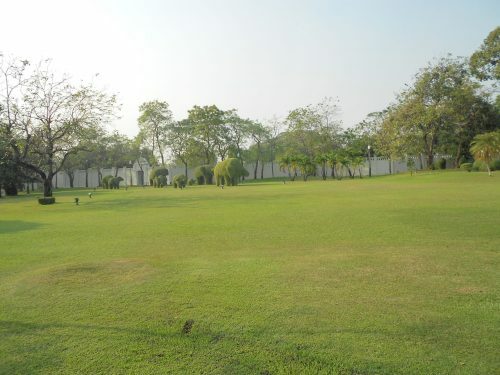 A golf cart may be hired at the entrance of the palace grounds, to explore the vast grounds and its buildings. This trip was certainly well worth it and very informative. 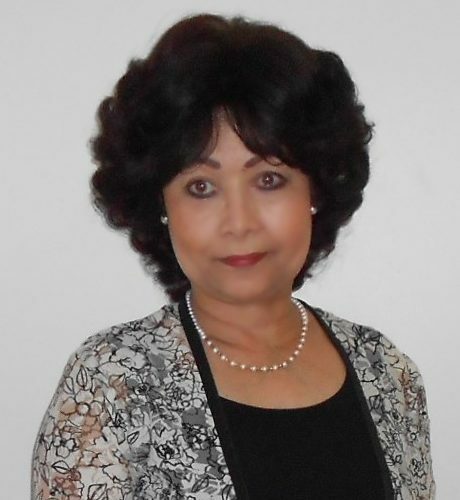 I have an immense interest in the history and architecture of all foreign countries, as well as immense respect for their religious beliefs and culture. We are looking forward to our next holiday in Bangkok. Have a great week further.